Congrats are in order for Kim Kardashian and Kanye West. The two famous stars have welcomed their third child. Kim and Kanye welcomed a child via surrogate. It has been revealed that the couple’s third baby is a girl. The official announcement was made by Kim herself on social media. The star of Keeping Up with the Kardashians revealed that she and her husband Kanye West are parents to three children now. “She’s here!” the post said. “We’re so in love,” Kim went on to add. Kim gave a few details about her new baby on social media. The star claimed that the baby was born via surrogate on Monday. Kim also revealed that her daughter weighed 7 pounds, 6 ounces. However, at this point these are the only details regarding the new baby. So, Kim gave no hints into the name of the child, where she has been born and whether she and Kanye took their baby home or when this will happen. However, Kim did specify that the baby is healthy and that she was extremely happy, as well as thankful to the woman who carried her child. “Kanye and I are happy to announce the arrival of our healthy, beautiful baby girl,” Kim said. “We are incredibly grateful to our surrogate who made our dreams come true with the greatest gift one could give and to our wonderful doctors and nurses for their special care,” she concluded. 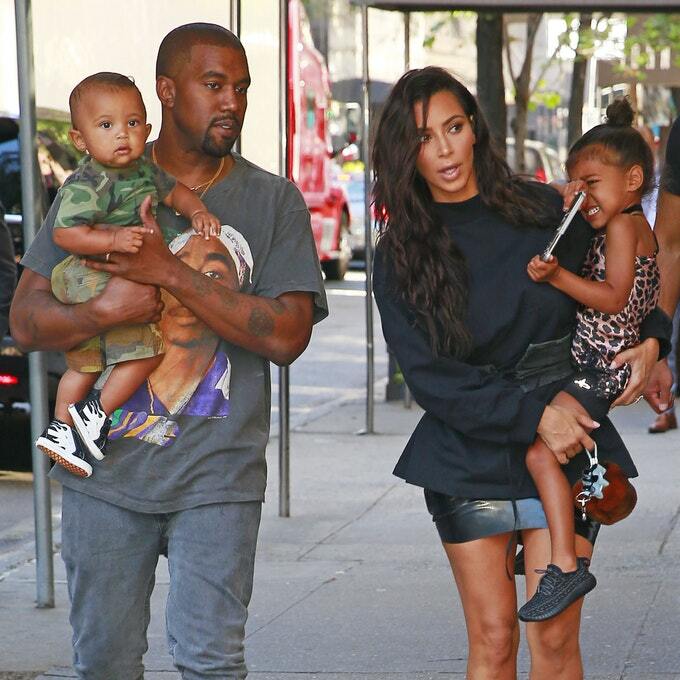 Kim and Kanye have two children together, North and Saint. However, both pregnancies were extremely difficult for Kim, this is why the star was forbidden from carrying another child by her doctors. After getting the bad news from her doctors, Kim and Kanye decided to hire a surrogate.